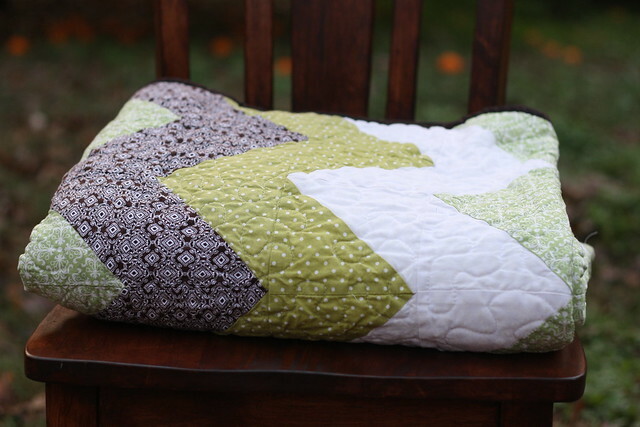 I love quilting, it was one of the first sewing crafts I ever did. Of course back then they were tiny little quilts for my dolls. 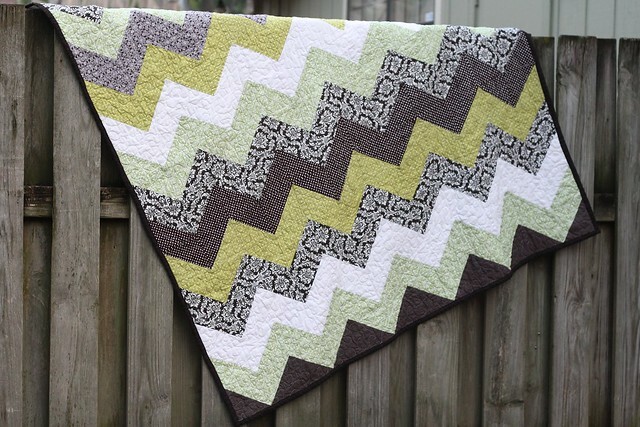 Check out my post here on quilting with half square triangles for more information on making a quilt like this one. 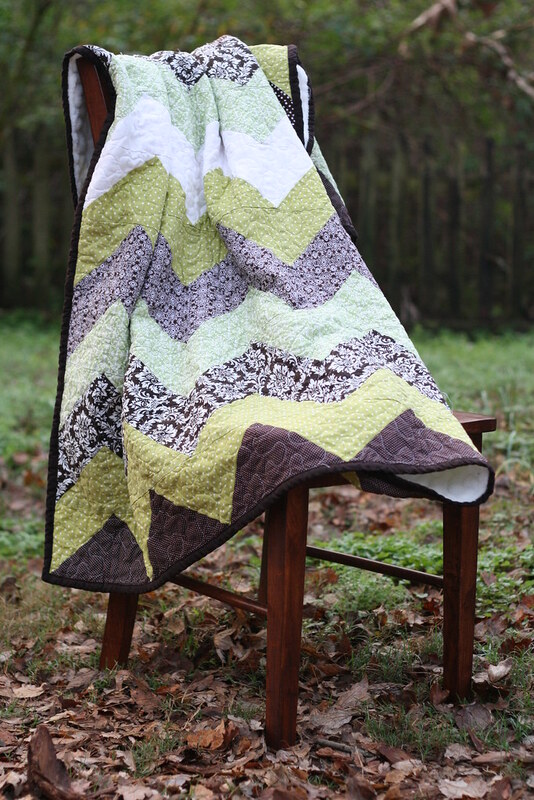 This quilt is a gift for my Aunt so I made is a bit bigger than the baby quilt in the tutorial. I started with 6" squares so my finished squares are about 5". I did 12 squares by 14 squares so my finished quilt is about 60" x 70", a good size for snuggling on the couch with! Those two green fabrics were the exact same color in the store and in my craft room, but outside they are clearly different. Silly incandescent lighting, I guess now I know to take my fabrics over to the window and look at them before I buy! 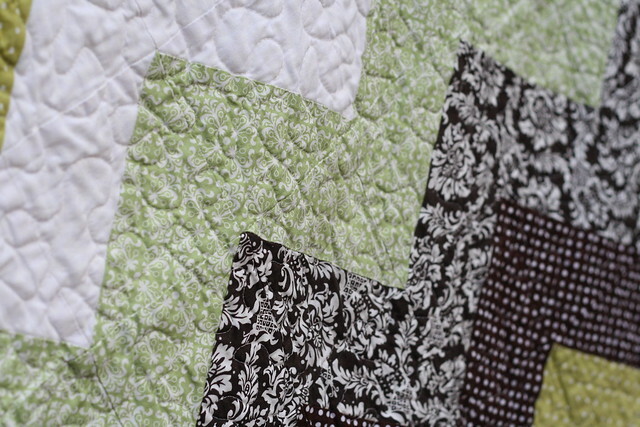 It worked out though because I love the way the 2 different shades of green look in the quilt!